High energy Sales & Channel leader with proven track record in the Cloud and Hardware domains across markets in North America, Europe, and Asia. Proven track record in launching new ventures, Strategic Partnerships, Channel Development, Enterprise Sales and Business Dev. Functions. 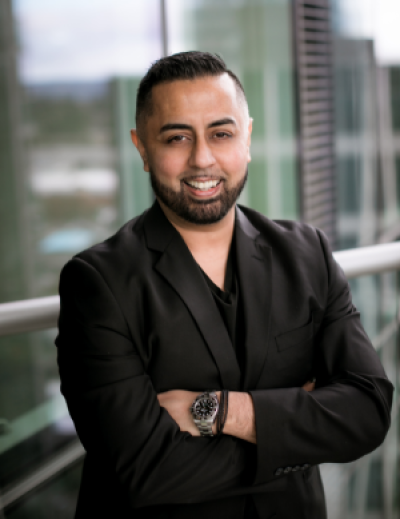 As a Technology Sales and Business Development Leader, Omer Qureshi leverages extensive IT experience with solution sales expertise to drive multi-million dollar revenue growth for industry leaders Microsoft, VMware, and Bank of America as well as Fortune 500 partners. He consistently develops and implements innovative sales, marketing, pricing and product strategies to generate growth domestically and internationally. Most recently as Director of Telco Cloud Solutions at Microsoft, he generated hundreds of millions in revenue by launching a new cloud and hardware categories; realizing $170M with the international launch of Microsoft Office 365 and Azure, and led a partner sales program, delivering 500+ customer wins, $44M+ influence revenue and 130% OTE. Before moving to the sales side of the business, he led complex IT projects for the Bank of America. “Omer is one of those focused executives that brings clarity and a sense of urgency to whatever he gets involved in. He takes the time to assimilate the opportunities, problems and players before bringing the necessary structure and attention to address the problem. He successfully embraces multiple approaches & inputs, including out of the box thinking. He balances influence and use of a guiding hand to accomplish the business outcomes – collaboratively”. "Along with intellectual horsepower and a sharp analytical mind, Omar always brings boundless energy and infectious enthusiasm to any meeting and every business situation. Its been quite an experience on-boarding Whitlock to Microsoft's Surface Hub program and we now look forward to the many opportunities and rewards which Omer and his team has presented us." "Omer is a true creative entrepreneur with enough energy to fuel any project. He combines this with a good business mind and a strong level of integrity.Omer understands the importance of partnership combined with the achieving the right results for the company. A truly impressive individual (and a great character)." "Great collaborator, strategic thinker and executor. Omer is a trusted advisor to my business and has exemplified creating win/win outcomes with me and my broader team. He is an asset to the business and someone whom I rate highly." "Omer is a natural sales leader, a SME on cloud and has a proven track record in driving results." Content Copyright © 1997-2017. All Rights Reserved.